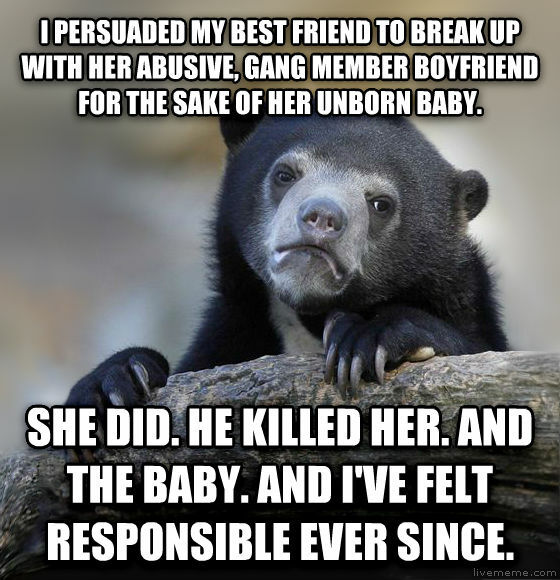 i persuaded my best friend to break up with her abusive, gang member boyfriend for the sake of her unborn baby. she did. he killed her. and the baby. and i've felt responsible ever since.